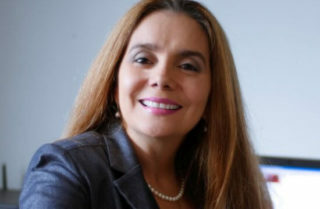 Amparo is an enthusiastic leader with a proven track record in working in high-pressure environments of both the public and private sector where diligence, dexterity, self-motivation and tact are key qualities for effective business. Her specialist skills in business administration, market analysis and corporate marketing with additional expertise in client development and project management. Amparo is also a lover of Celtic Culture and a passionate fan of tennis, rugby, cycling and ancestral sports. How would you sum up your role at Today Translations in a sentence? The LatAm Market will be enriched by Today Translations. I am here to provide the right marketing strategy to realise our clients’ ambitions and a sustainable growing business model. What personal trait do you think you bring to your way of approaching your tasks? In addition to my approachable and engaging personality I bring infectious enthusiasm, experience-based business awareness, leadership and self-motivation, a sound of professional, passionate and dedicated attitude towards work, and finally thoroughly enjoying the rewards of seeing both business success and personal development. What makes you enthusiastic at this role? I love the world of commerce, finance and economics and through this role I get the challenge to establish, support and grow this exciting business in Panama and the wider region. This is an environment that offers me a fertile landscape and allows me to engage my skills, personality and work commitment for the benefit of business success. Keep dreaming while working hard to make your dreams come true! What is the most impressive charity organisation you have encountered? Hogar Nuestra Señora – It is a local charity home dedicated to support pregnant teenagers from 11 to 18 years old, almost all of whom are victims of sexual abuse. Most of them are abused by their close relatives and come from aboriginal communities that rejected and banished them because of their pregnancy. Hearing their stories and witnessing their vulnerability has left a lasting impression on me. What new things have you discovered since working in the translations industry? I have realized that this industry is a huge asset to support channels of communication between cultures and many other industries. It builds interaction and bridges all over the world in order to make it easier to engage and participate and ultimately be part of the globalization of society and commerce.